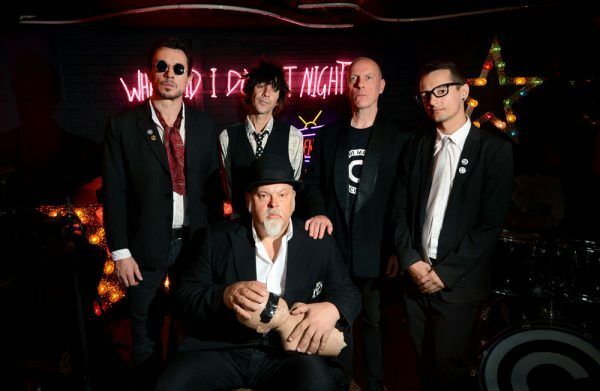 Punk originals THE CRAVATS have a new single out this month, and they’ve chosen to unveil the video exclusively with Vive Le Rock! ‘Blurred’ is backed with ‘Bigband’ on a 7″ single released by Overground Records on 28 October. It’s limited to 500 copies though, so get in quick by pre-ordering here. It’s also available as a download from iTunes. Originally formed in Redditch in 1977, signing to Small Records and releasing several singles and the album The Cravats In Toytown. Splitting in 1982, they spawned THE VERY THINGS, eventually reconvening for an appearance at Rebellion in 2009. Now based in Brighton, they released a single ‘Jingo Bells’ in March this year. Their first new music in 30 years, the video – also premiered with Vive Le Rock! – featured a starring role from CRASS’s Penny Rimbaud. The Cravats play The Dome, Brighton on 31 October as special guests to SLEAFORD MODS. Tickets are available here. Only a single ? How about an album.